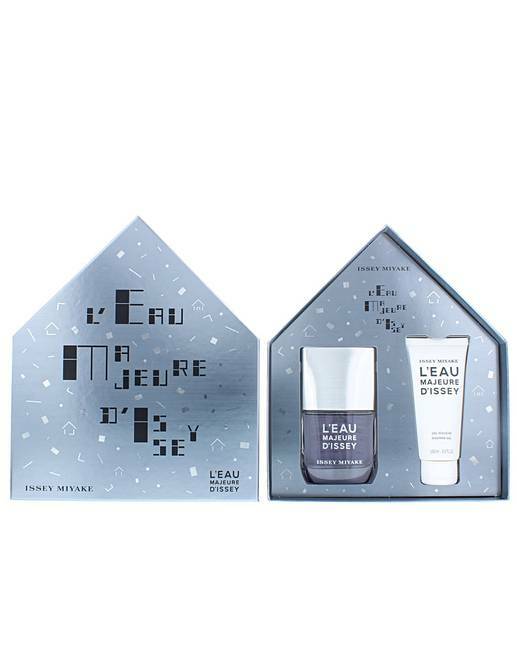 LEau Majeure D�Issey EDT Gift Set is rated 5.0 out of 5 by 1. A new mens fragrance inspired by the ferocity of the sea. Top notes: bergamot grapefruit mint. Middle notes: sea notes hedione tea. Base notes: woody notes cashmeran cedar amberwood coumarin. L�Eau Majeure d�Issey was launched in 2017. This gift set contains: Eau de Toilette 50ml Shower Gel 100ml. Rated 5 out of 5 by Kirstylouise from Good value, speedy delivery! Smell nice! Good value for money! Item was at the parcel shop within two days and updates where great. Christmas present for my husband and it smells amazing!